Volvo has stepped up its game with its impressive 2017 sedan lineup. All models (the S60, S90, V60, and V90) feature high-performance powertrains, a wide array of technological and safety features, and generate rather acceptable fuel economy. Performance features on the Volvo sedans have been modified, making stability, traction, and handling more precise. In addition to improving the tires on these vehicles, a lot of work has gone into remodeling the exteriors. The V90 is particularly well-adapted for roughing it on tough winter roads. Of course, all four models have a lot to offer aside from an exceptional ride quality. First in Volvo’s 2017 sedan lineup is the S60. This small luxury sedan is known for having a surprisingly strong powertrain. The T5 Dynamic and T5 Inscription models have a 2.0-L turbocharged four-cylinder engine that is capable of generating 240 hp and 258 lb-ft of torque. 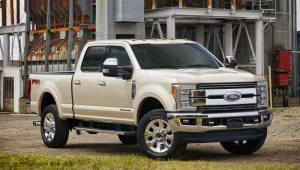 The engine is paired with an eight-speed automatic transmission that sends power to the vehicle’s front wheels. The T6 AWD R-Design features a 2.0-L supercharged four-cylinder engine that generates a whopping 302 hp and 295 lb-ft of torque. This engine option is also paired with the eight-speed automatic transmission. The 2017 Volvo S60 hosts a number of entertainment and safety features. Prominent safety features include the standard low-speed frontal collision warning and mitigation system with automatic braking, the On Call system for emergency assistance, and an optional Technology package upgrade that adds pedestrian and cyclist detection. Entertainment features include a standard seven-inch monitor, the Sensus smartphone app integration system, Bluetooth capability, and WiFi. The Volvo S60 gets an estimated 29 mpg combined (25 mpg city/36 mpg highway) on the base trims with the 2.0-L turbocharged four-cylinder engine. The S60’s AWD models get an estimated 26 mpg combined (23 mpg city/31 mpg highway). The S60 Polestar stands out as the S60 model to purchase, especially with its T6 engine, which generates an astounding 362 hp and 347 lb-ft of torque. The acceleration on the Polestar is quite impeccable and virtually impossible to beat, going from 0 to 60 mph in under 4.4 seconds. This car was definitely built for those with a lead foot and is incredibly fun to drive if you like snappy acceleration. Next in the lineup is the Volvo S90. 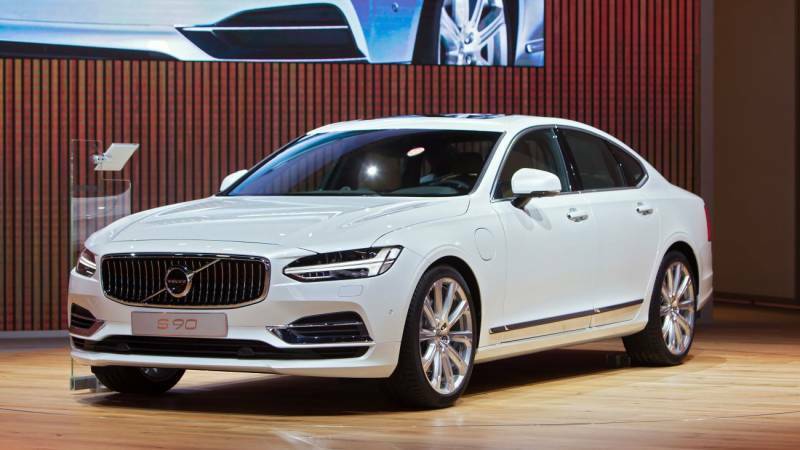 The S90 has a refined and comfortable ride quality thanks to its powerful powertrain options. You can select between the turbocharged T5 and T6 engines. The T5 gets 250 hp and 258 lb-ft of torque while the T6 generates 316 hp and 295 lb-ft of torque. The T5 models are front-wheel drive while the T6 models are all-wheel drive. As with the S60, the S90 has quite a few safety and infotainment features, many of which come standard. 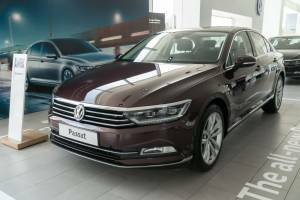 Standard safety features include frontal collision warning and mitigation, large animal and cyclist detection, road sign recognition, and lane departure warning. Rear cross-traffic alert and blind spot monitoring are optional, even though some of Volvo’s competitors are starting to offer these as standard safety features. Again, as with the S60, the S90 gets decent fuel economy for a midsize luxury sedan. The T5 gets a slightly better fuel economy than the T6. While the T6 gets 25 mpg combined (23 mpg city/31 mpg highway), the T5 is able to get 27 mpg combined (23 mpg city/34 mpg highway). Those looking for something a little more athletic might want to check out the 2017 Volvo V60. This vehicle is being hailed as an excellent alternative to compact crossover vehicles and small luxury sedans. As far as performance goes, you will get some bang for your buck. The Volvo V60 T5 features a 2.0-L four-cylinder turbocharged engine paired with an eight-speed automatic transmission. This engine generates 240 hp and 258 lb-ft of torque. The transmission can be purchased as either front-wheel or all-wheel drive. There is a handy stop-start system on the engine that will shut the engine off when the car is stopped in order to save on fuel. The T6 model has a more high-powered engine that comes with turbocharged and supercharged options and generates 302 hp and 295 lb-ft of torque. As far as safety features go, the V60 has quite a lengthy list, including stability and traction control, Volvo’s City Safety System, and the OnCall system that provides emergency roadside assistance, stolen vehicle assistance, and automatic crash notification. Upper-level trims offer more features. Blind spot monitoring, front and rear parking sensors, and rear cross-traffic alert are available as additional options. Again, the Technology package adds extra safety features, including lane departure warning and intervention. The optional Convenience package adds a helpful rearview camera. If you opt for the T5 version of the V60, you will get approximately 29 mpg combined (25 mpg city/36 mpg highway), although estimates by drivers report that highway mileage is slightly lower, ranging somewhere around 33 mpg. As is to be expected, the T6’s more powerful powertrain consumes a bit more fuel, making the estimated fuel economy 26 mpg combined (23 mpg city/31 mpg highway). The Volvo V60 has a Polestar model available that puts out quite an impressive performance for a vehicle in its class. The V60 Polestar has a four-cylinder Drive-E engine paired with an eight-speed gearbox that is capable of generating 362 hp and 347 lb-ft of torque. If you’re looking for something with speed, this car has it, as it can go from 0 to 60 mpg in just about 4.5 seconds. To conclude this glimpse into the 2017 Volvo sedan lineup, we have to take a look at the impressive 2017 Volvo V90. This model comes with a standard turbocharged and supercharged T6 2.0-L, 4-cylinder engine that is capable of generating 316 hp and 295 lb-ft of torque. All-wheel drive comes standard on the V90. As with the previously mentioned 2017 Volvos, the V90 packs quite the punch in terms of safety and infotainment features. In addition to all of the standard safety features, the optional Convenience package adds a rearview camera. Infotainment features include 10 speakers, one subwoofer, speed-sensitive volume control, and a monitor. It should be noted that Volvo’s infotainment interface is relatively easy to use and has sharp graphic quality. Looking for a vehicle that performs like an SUV, but gets way better gas mileage? The V90 is it. This model gets a fairly adequate fuel efficiency for a vehicle in its class. Overall, the V90 gets an EPA of about 25 mpg combined (22 mpg city/30 mpg highway). Regardless of which model you choose, the 2017 Volvo sedans all embody a sense of luxury fused with strength. The Polestar models are especially difficult to pass up, especially if you feel the need for speed. Get behind the wheel of any of these Volvos, and you might find yourself falling in love with their quality craftsmanship and comfort.